I love consuming Bird's Nest soup. This Chinese delicacy is available readily at supermarkets and restaurants at various prices, depending on the superiority and where they were harvested. Please do not check up the trees, looking for bird's nests to snitch. God bless those poor birds. This delicacy derives from the saliva of male swiftlets during the breeding, and takes the shape of a sallow cup that are stuck to the walls of caves. The nutritional benefits are aplenty - they are an excellent source of calcium and protein that improves the quality of regenerated and cells and strengthens our body immune system. Most importantly, frequent consumption nourishes the skin, making it soft, supple and elastic. 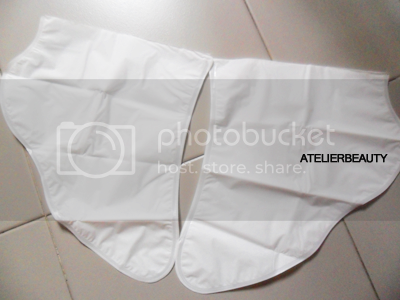 I have since finished the previous batch which is in an all-white packaging, and slightly bulky. The new ones you see here look absolutely luxurious and contains more punch this time round. No idea if the product's been re-formulated either. 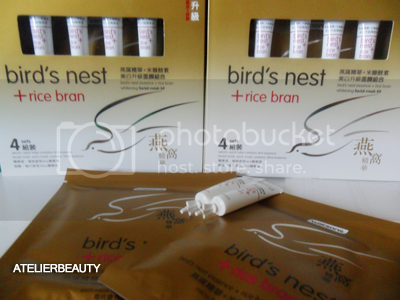 This time round, it comes in a set of 4 facial masks partnered with equal vials of Rice Bran serum. You are instructed to use them together to achieve that whitening boost. 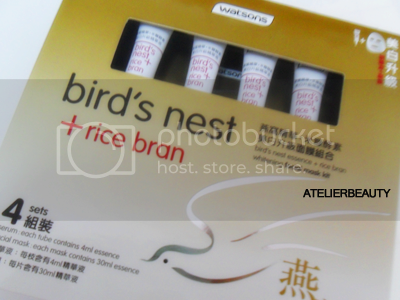 Each vial of Rice Bran serum contains a generous amount of product that can be evenly divided for your face and neck. Take some time to massage it in, before placing the facial sheet over your face. The cloth sheet is made up of 12,000 knitted micro fibres that fits my facial contours very well, with none of that messy dripping all over your clothes. No thanks to my recent Detox Program that cuts me off from using any whitening products, my skin tone had been looking dull but there is a subtle brightening effect after usage. There is no difference in the fine lines being smoothed out though. Also there was no flakiness of any sort, like what I'd experienced with other brightening masks which is a big plus. 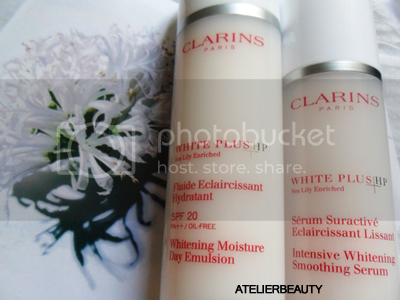 There is no need to add on moisturizer afterwards since the two products hydrate the skin just the way I like it. 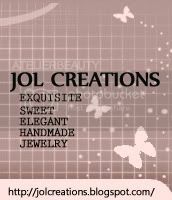 But if you need a product to lock in the beneficial ingredients, opt for AQUALABEL Skin Enhancer. I can't remember how much it cost... around S$20? There was a promotion spotted just yesterday that reduced me a mere S$15 poorer. But I'm sorry to announce that it ended on the same day. Anyway, check back with Watsons from time to time since they hold promotions all year round. They also have their in-house Green Tea masks but I'm no fan. I have mentioned on several occasions about a bad breakout after the use of a particular product, which I shall touch on soon! The healing process has been awfully slow and I decided to do some damage control by seeking professional help. When it comes to facials, I'm apprehensive to have strangers touching me unless I have absolute trust in them. Dismissing my very first taken place many years ago which left me scars and invisible heart dents that took very long to heal, so far the ones I have visited have been assuring. 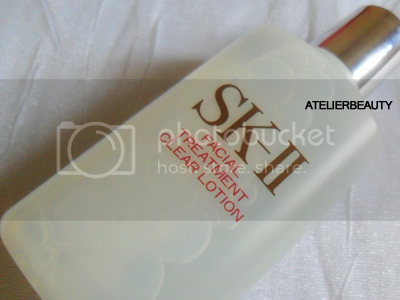 Last week I made a trip down to the SK-II BOUTIQUE SPA for some damage control. This establishment is a unique collaboration with Senze Salus, a leading luxury spa specialist, using prestigious skin care products from the Japanese brand. Currently there are 3 outlets - Scotts Road, Triple One Somerset and the one I visited was located at Raffles City Shopping Center. She recommended me the Intense Radiance Facial which employs the use of machinery and products from their Cellumination range that will result in a vibrant and luminous complexion. The Senzational Bed is boasted as the most luxurious bed imaginable. Boy, were they right! The bed is truly a promise of comfort and indulgence with a duvet to boot that keeps me warm during the 80mins of serenity. My body didn't come off stiff, nor did my neck ache: I couldn't catch a nap either since I was chatting with the therapist throughout the duration. After cleansing, she used a shaver-like apparatus to remove dead skin cells on one side of my face. 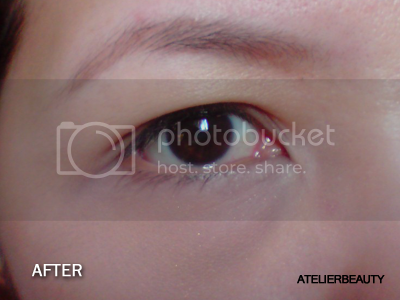 I saw the obvious difference as the "after-shaved" side is smoother, brighter and my pores were even less visible. After which, a humidifier was positioned to open up my pores and softens the skin for the extraction process. She was really concerned but after some assurance of my high threshold for pain, she proceeded to poke and squeeze and promises that they won't leave any marks. This may seem like an ordeal for many women, but this process was over and done in about 10mins. This crucial procedure is best to be placed in someone you can trust. Relaxtion took command towards the end of the session: she used some sort of paper -describing it as transparent edible wrappers in those White Rabbit candies - coupled with the Cellumination essence, and utilizes an ultrasound gadget to melt the "paper" and massaged the products into the skin. Luxurious facial and eye masks were placed to calm down the redness caused from the extraction process. I came out of the room looking radiant. While I was satisfied with the entire facial experience, everything seemed different afterwards. Being led to another waiting area whereby the therapist attempted to push facial packages but I was adamant about not wanting to deal with any, since I seek professional opinions only when I'm at my most desperate. 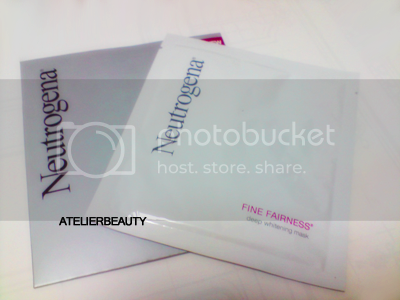 After making payments, I was given samples of the Facial Clear Solution, and recommended me the Skin Refining Treatment. Apparently the boutique had run out of samples and suggested that I obtain some from the counter located downstairs. When I eventually made it down, the BA said that their samples had not been replenished for more than 3 months. Wasteful trip, no? Although there were no pushing of products, I had the feeling of being snubbed after insisting on not purchasing any packages nor products. She walked away and never came back like she said she would. I was left alone to touch up my face. Just as I was ready to leave when another staff came and asked if she could direct me to their vanity area. Why can't I be referred there after completing my session? I had my doubts while being led to the waiting area because it was so exposed and had invited stares while applying concealer and the like. I tend to stress a lot on Customer Service because I used to be on the front line. Treat others the way you want to be treated is a mantra I stand by constantly. Even when your customer leaves empty-handed, he/she should be treated without any prejudice. As you can see, no cotton pad was included. The SA made no mention of it either. Has SK-ll ran out of cotton pads, or what? I am the sort of person who looks past minor stuff like this, but don't like to be misinformed of any sort. How hard is it to tell a customer that they are unable to fulfill the contents depicted in the promotion? Or even better, why not substitute with another item? 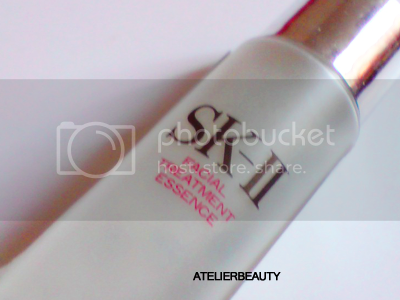 Equivalent to a softener; it contains AHA that effectively removes dirt and dead skin cells to allow skin nourishment. I use this on makeup days and love how it leaves my skin squeaky clean. 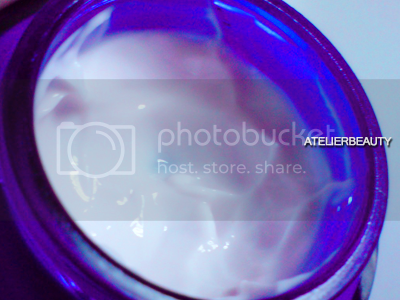 A water-based emulsion containing Pitera and a rare marine Vitamin complex that regulates sebum production at its source, deep within the pores. I use this mainly on my T-Zone area. Lastly, my SK-ll Crystal Club lifetime membership. It is not a card; merely a sticker pasted over a glossy surface that has my membership number, name written with ink and expiry date. 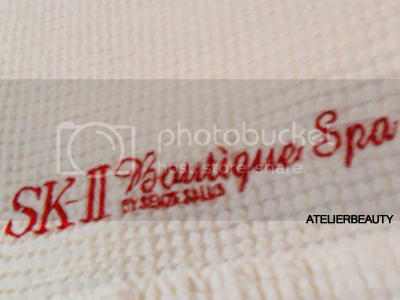 Come on, SK-ll, you can afford better quality than this! 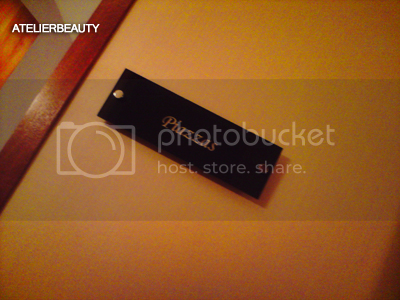 This can be used to accumulate points upon purchasing any products, facials and packages. The downside is that points are earned upon purchase ONLY in Singapore, Malaysia and Bangkok. Furthermore, rewards can only be deemed within your home base. 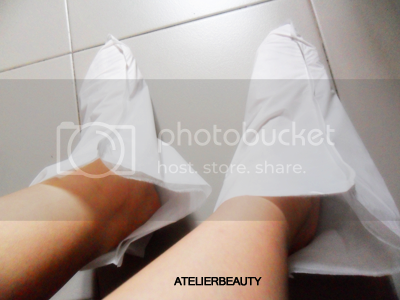 On the morning on the first day of Chinese New Year, I decided to pamper my feet before doing the inaugural rounds of dreadful house-visiting. There's virtually no instructions in English but the illustrations on the back are enough to demonstrate how the product should be used. 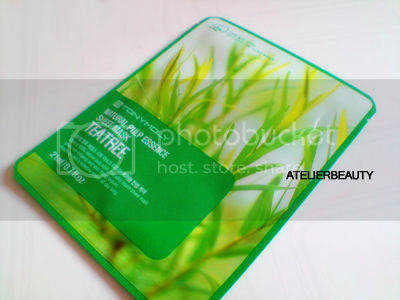 The product comes with 2 sachets of liquid and a pair of over-sized foot masks. Place yourself at a comfortable position as you will be bound for a good 30 minutes, and best to keep pets at bay. You don't want them to snif at the strong alcohol smell. 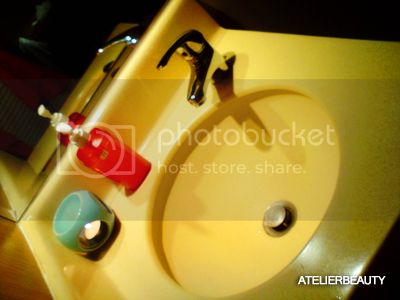 Rinse off after your DIY spa experience. I did not observe any immediate difference afterwards, though there was a lot of flaking on my toes and soles. This signals the shedding of dead skin cells to reveal soft and smooth feet. The one thing that irks me is that the dryness during this time period; my feet looked terrible despite applying more amount of moisturizer than usual. 7 days later, peeling has stopped but the area around my ankles are still dry. There was nothing of that brightening effect either. I rather invest in a good foot scrub to exfoliate my walkers. 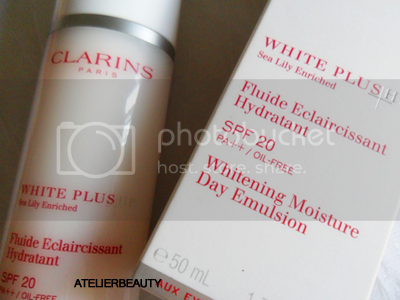 CLARINS White Plus HP Sea Lily Enriched range is effective in counteracting hyperpigmentation, reduce inflammation of skin cells and delivers micro-circulation to boost complexion radiance and restore youthfulness with very powerful brightening effectiveness. Using Sea Lily Extract as the active ingredient, is has the capacity to block the melanin tunnel, therefore the skin is better protected against any threatening development of dark pigmentation. This whitening product minimizes dark spots while refining the skin texture, thanks to the presence of oat sugars, and also prevents any reappearance of dark pigmentation. This serum also firms facial features, smoothes away fine lines, and restores the skin's transparent rosy glow. This milky solution has a fine, melting texture that instantly brightens, moisturizes and protects the skin against UV rays with SPF20 PA++. This smooth Day Lotion also preps the skin to enhance and prolong makeup all day. I have been using mostly the White Glove Extreme whitening skin care range by ELIZABETH ARDEN last year, and still have quite a few unopened products begging to be used in my stash. 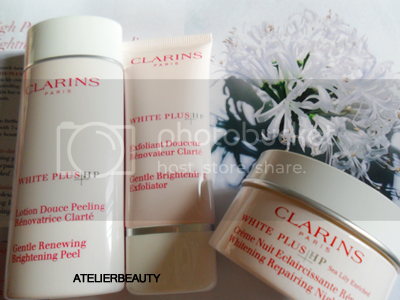 Hence I don't have a major problem with uneven pigmentation problems and can't give you an unbiased account when it comes to the brightening effect in reviewing these Clarins products. However, I can vouch that they do maintain the skin's illuminancity. Having switched to another skin care routine for another round of product reviewing, my skin tone has gotten sallow in time. During the period of test-driving the WhitePlus products which I had been using rigorously, I had undergone 2 separate skin analysis within a 2-month span. In spite of a visible breakout -bad reaction from another product I was testing at the time-, the epidermal layer of my skin was evidently hydrated, with a drastic improvement shown in the 2nd analysis. Interestingly, the scan had also shown that I don't have much of a melanin problem. According to Dr Lionel de Benetti, head of Clarins research and development, each stubborn spot is created differently, thus we need an effective product that is able to lighten all spots, in all the the different melanin processes. 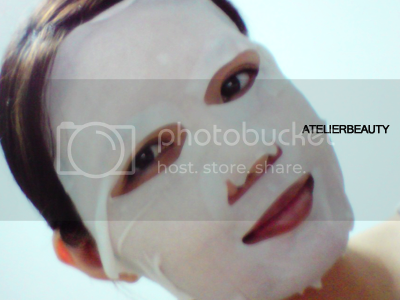 Forget about whitening facial masks that boost instantaneous but temporal results. The bleaching agent that gives you that shortcut brightening effect not only flakes, they do little to nourish your skin. Instead, invest in a skin care range that not only improves your skin condition on the outside, but most importantly encourages the elimination of dead cells within the deeper layers as well. The serum and moisturizer do not flake on me, and absorbs well into my skin. The only downside is that my face starts to shine fairly quickly around the 2-hour mark, even on days when I chose to work from home. Thus, I have tried to pair up the products with other brands, in a bid to test out different combinations in terms of shine control but other moisturizers don't seem to play nice with the smoothing serum and causing a flaking situation. I will introduce and review these products in a future entry. 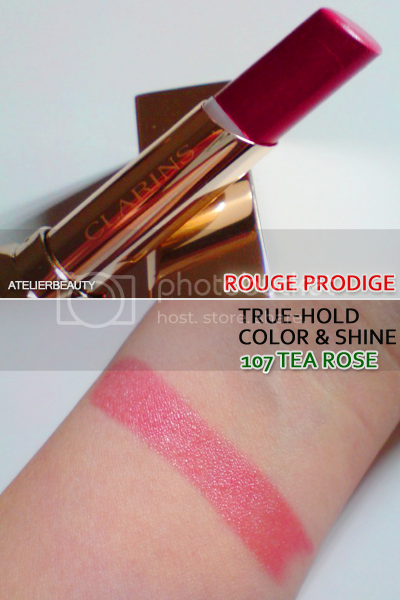 In the meantime, head down to your nearest Clarins counter and check these new products! Facial masks come in handy just before an important occasion should you seek an instant boost. That being said, there are those that specifically brightens up your complexion albeit a temporal effect. This is the factor that keeps me from not purchasing because most of the ones I've tried tends to flake whenever I applied on moisturizer afterwards to lock in the essence from the product. Hence I made sure to be mentally prepared the night I tried on KRACIE Deep Whitening mask sent to me for consideration. Fortunately the serum did not cause me any grief and I was able to do about my routine facial massage. 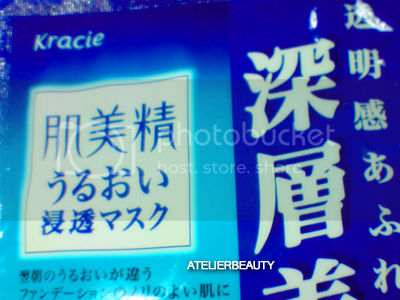 This Kracie product from Japan contains the Vitamin C derivative that suppress melanin production and prevents unwelcoming pigmentation and freckles to occur. The aid of Lemon Extract helps to soften the protective layer of your skin so as to allow the beneficial ingredients to penetrate efficiently. The facial sheet fits my around facial contours nicely and doesn't slip during the 15-20mins treatment process. The cloth soaked up most of the essence thus there aren't much left in the pack - I love to use the excess around my neck and decollete region, and my long pins. With that being said, there are no signs of essence dripping on my clothes either. 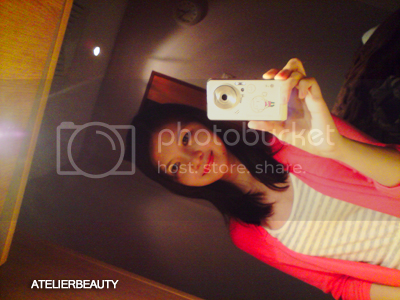 Unfortunately, the whitening effect was mediocre but it differs with different skin tones. I failed to notice any brightening difference. However, I found the serum to be immensely moisturizing upon massaging into my skin. There was no flaking, and left my skin supple and dewy. It also allowed foundation to glide on smoothly. There is a wide variety of the Hadabisei Moisture Mask series available now at all Watsons stores islandwide. 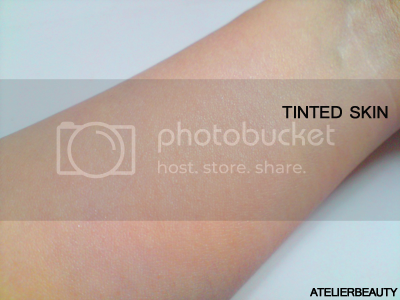 Tinted moisturizers are ideal for women seeking a hassle-free routine; it's basically a 2-in-1 product that combines the benefits of skincare with a hint of color that can be used in place of a foundation. 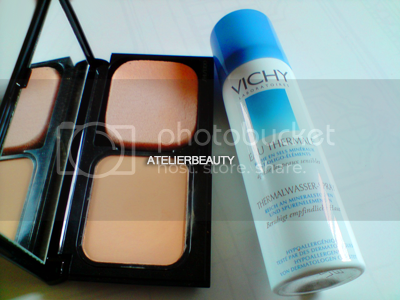 Alternatively, you may customized your own by mixing in moisturizer and liquid foundation. This is a makeup product afterall, so always use an oil-based cleanser followed by your favourite cleanser to remove all traces of makeup on your face. Infused with Mineral Mica pigments that acts as an optical diffuser to soften the appearance of fine lines and wrinkles, the formula also contains antioxidants and Vitamins A, C and E, Squalane and Sodium Hyaluronate for moisture, and Jojoba estera for moisture retention. Upon receiving the product in April, it had undergone numerous trials and errors because of the incompatibility with my skin tone. There is a limited selection of shades available, with 01 Fair being the lightest and the darkest at 04 Deep which is not available in the local market. I have a habit of taking 5-minute intervals in between applying serum and moisturizer so as to allow the beneficial ingredients to sink into my skin. But this product chooses to work only if I comply to its rules - while the consistency is soft and easy to distribute, it doesn't spread well on dry skin thus I had to act quick before my skin absorbs the moisture from the toner and any product I might choose to use at the moment. While most tinted moisturizers have a sheer tinted coverage, Elizabeth Arden's formula is slightly heavy like that of Revlon's ColorStay foundation but less runny with a more bronzey veil of color. 01 Fair has a heavy orange undertone, and I had come off looking like a bad tanning job upon my first trial. I practically looked like Garfield(!!) minus the whiskers and that infamous smirk... 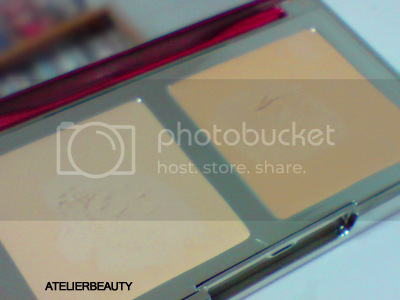 I'd slathered it on like any regular foundation and the results turned out to be disastrous! I had an Eureka moment one day and decided to give the product one more go - this time with a wet sponge. My intention was to make use of the dampness to somehow "dilute" or "absorb the excess orange-y pigments. The outcome was more or less the same. Subsequently I used the stippling method but... Sigh! Despite my determination to review this product, we had to undergo a cooling-off period because things just couldn't work out. Every time I open my drawer, the filmsy package would stare back at me, begging me to take him back. Since it's supposed to give me a bronzey glow, I decided to apply like a bronzer. Sure it defeated the purpose for what it was intended for, but I wasn't ready to throw in the towel just yet. The contrast was too obvious and I looked like a beach prank gone wrong. I'm not sure if you have seen that particular Archie comic whereby Reggie placed a plastic lobster on Archie's face in the middle of a tanning session and he came off with this red imprint afterwards. I sounded exaggerated but you get the gist. After much revision, I went back to basics by making use of the warmth from my fingers. This time, I opted to use the size of a tear drop and start from the center then slowly spread it out evenly on my face. No subsequent re-application and... *DRUM ROLL* look at the photo above! Why, oh why didn't I think of it sooner? I have been trying multiple whitening products which sort of gave me this slight ghastly reflection, so the TM added some warm illuminous touches to my features. I wasn't that self-conscious as I picked up the courage to parade down Orchard Road that very day. Subsequently, I had to constant remind myself to always use a lighter-than-ever hand with this trickster, with a Garfied coin bank staring at me across the room. The oil control is decent but requires touch-up every now and then because the formula ran off every time I blot the excess sebum. It doesn't oxidize on me either. I have since come to terms that the shade doesn't befit my skin tone, albeit the lightest available. Hence I recommend for those with fair skin to head to your nearest EA counter to try out the various shades. 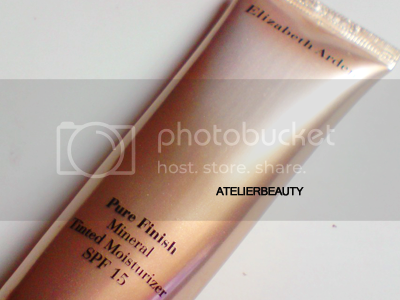 The Pure Finish Tinted Moisturizer retails at S$52; 50ml. Sometime ago I was made aware of a Mega Beauty Sale in Hong Kong and my dear friend who was touring Asia at that time asked what I was interested to get. 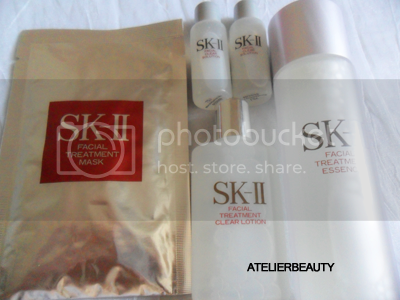 He threw out a couple of brands and my ears ringed when I heard SK-II. This luxury brand is not cheap; a bottle of lotion can cost you around 20 meals. Also numerous mixed reviews kept me at bay from making rash decisions. Anyway, I opted to get the highly-raved Facial Treatment Essence - a 75ml bottle cost S$99 at local counters whereas the discount+conversion will come to around S$50. Sad to say there were limited stocks available, and my friend managed to snag 2 sample bottles, 30ml each. ヾ(^▽^)ノ FREE! He proceeded to get me whatever is available on my To-Buy list which is the PREVAGE Day moisturizer and also samples from SANSIM, a Korean brand using Wild Ginseng Extract which is supposedly has a superior efficacy to Ginseng and is known to have skin restoration and anti-aging properties. I shall elaborate in a later entry. 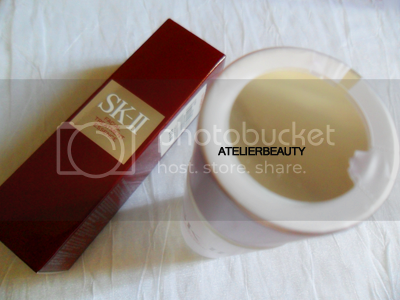 The "SK" in SK-II stands for Secret Key, with Pitera being the secret key to clear skin. Celebrating its 30th Anniversary this year, the Facial Treatment Essence(FTE for short) formula have never been changed, given the reason that customers seem to be happy with the crystal clear results. At the time of writing, more than 20 million bottles have been sold, and a bottle is said to be sold every 22 seconds. Unlike those used to make bread and beer, Pitera is a byproduct obtained from a refined, purified strain of yeast during the fermentation process. Patented by the Japanese brand, this key ingredient is a source of proteins, minerals, peptides, amino and organic acids etc that mimics the structure and function of healthy skin, and prevent surface irritation from penetrating deeper into the skin. This miracle find enhances the skin's natural cell renewal cycle, resulting in crystal clear skin. 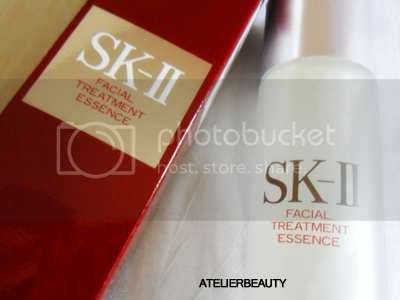 Touted as the Miracle Water, the FTE contains more than 90% Piteria, the highest concentration in SK-II's product range. Apart from allowing the skin's natural renewal cycle to function at its prime, FTE helps to achieve a good balance of sebum and pH levels, so oily and dry areas are properly moisturized. 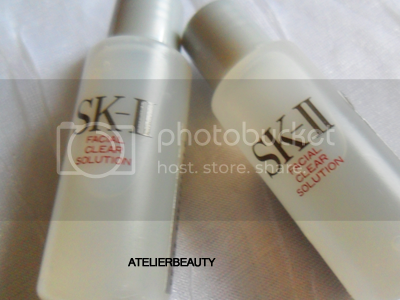 Many have the misconception that the FTE is a toner when in fact this product is a serum albeit in liquid form. The bottle does not come with a pump but the opening is small thus minimizes wastage. 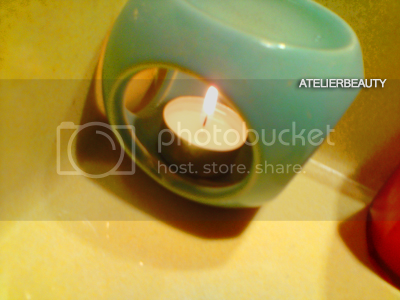 The fermented scent grow stronger upon gradual contact with surrounding air, so it is best to replace the cap promptly. While sebum secretion remains the same *inserts major groan*, my skin has visibly brightened up. The illuminating effect is far from the same as compared with other whitening products; the sorbic acids clarify and remove dead skin cells but does not dry out the skin. It leaves my face soft and smooth with that gleaming glow, as if a subtle bulb has been lit and directs light onto my skin. This spells good news for those with slightly blemished skin - although you don't see immediate improvement, the brightening does help to create a veil, very much like using the "light" effect with Photoshop. Besides using it twice daily, morning and night, the recommended application is to use a FTE-soaked cotton pad and gently pat on the face and neck. For a product that can buy you at least 20 meals, such a method is too extravagant. What I do is have my bottle at the ready and cap unscrewed but still in its place, rub my palms together to heat it up and pour in an amount that's of a quarter size and gently pat on my face. DO NOT RUB! Pat the product until it has been completely absorbed by the skin and then continue with my moisturizer. Alternatively, you may pour some of the product into a spritz bottle, spray some on your face and pat it in after heating your palms. This method helps to delay the fermenting smell and further reducing wastage of this Miracle Water. The formulation contains the Light Optimizing+ Complex -a new innovation from Clarins Laboratories- that is great for highlighting purposes. Apply on light-catching areas such as the forehead, brow bone, cheekbones, cupid's bow, chin area and on your nose bridge. The light-reflecting pigments act as an optical distraction that blurs out any appearance of wrinkles and fine lines. The Instant Light Brush-On Perfector also contains oat sugars which are natural skin-firming agents that gently smooth your facial features. Further enhancing the product is a high performance hyaluronic acid that forms a protective film to seal in moisture within the skin. 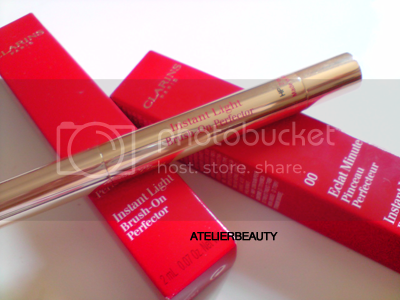 A "radiance pen" that banishes dark circles and perk up tired eyes by bringing light and radiance to the skin. The texture is very creamy and blends easily although I strongly recommend applying eye cream first. 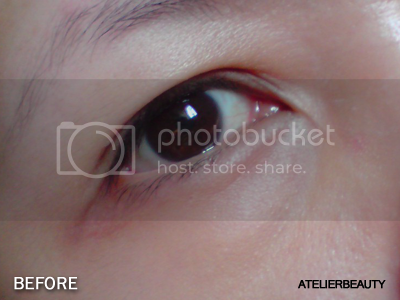 Trust me, this will help to prevent subsequent products from creeping into the crevices on your undereye area. The formula comes in a pen, and to push up the product, you just twist it until the highlighter oozes onto a brush. I find it hard to control the dispensability which piles more-than-needed product on the tip of the brush, thus increasing the inflexibility to use apply it directly on areas that needed to be brightened. On top of that, the brush doesn't allow easy blending and I prefer to use a foundation brush. Using my finger is out of the question and the heat generated tends to dry up the formula and causes the product to cake. The product is not to be mistaken for a concealer - the sheer coverage falls short on concealing scars nor existing acne. Some concealers tend to turn ashy due to oxidation resulting in a fatigue look, thus this luminizing pen comes in handy to give my eyes that instant boost of radiance. E.L.F. Studio Under Eye Concealer & Highlighter makes a budget-friendly alternative. If your dark circles are severe, use a corrector and/or concealer beforehand. These past few months I have been rigid in massaging my face; not only does this routine improves my overall complexion, my eye bags have significantly reduced and shadowy areas under my eyes are gradually diminishing. That being said, the Perfector isn't just another highlighter, like the raving Yves Saint Laurent Touche Eclat, it can also be used as a corrector depending on your skin tone. 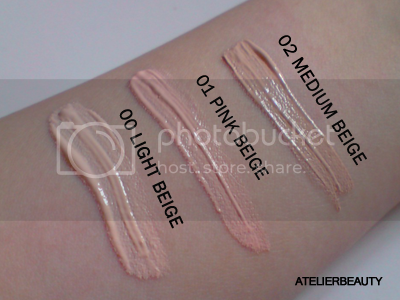 While I use 00 Light Beige primarily to illuminate areas that catches light, 01 Pink Beige works surprisingly well in neutralizing redness especially the area round my nose and other blemishes. Since my eye areas aren't as problematic as before, I use 02 Medium Beige to conceal any obvious signs of fatigue. The Instant Light Brush-On Perfector retails at S$45 each and can be conveniently purchased at all Clarins counters. 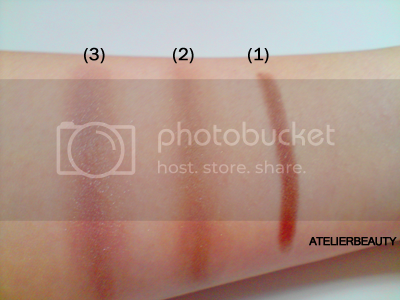 There are 4 shades available, but I believe it differs in different regions. 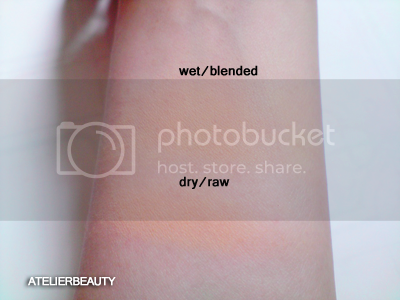 Using solely the Perfector in 02 Medium Beige which suits my skin tone the most, notice the brightening effect albeit the grey cast peeking through. Boosting of a hot-pink packaging that makes every girl swoon, SKIN79's glamourous Diamond Collection contains superior ingredients such as Diamond Power and Jewel Complex Powder of ruby, amethyst, coral and tourmalin and pearl to create a flawless finish. 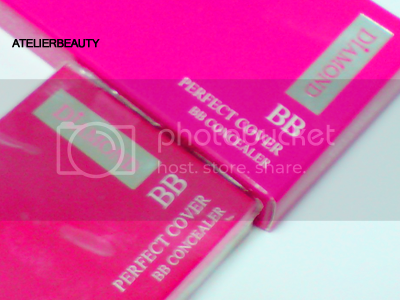 Leading the pack with their best-selling BB Creams, the Korean brand now introduces its BB Concealer made with micro-soft powder particles. 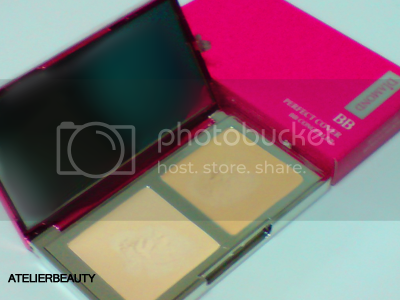 The product comes in a sturdy metal case with dual shades in the palette. The Light Beige is meant to be applied on the under-eye area; the coverage manages to brighten up my eyes but turns ashy soon afterwards. Even with its emollient texture, it still seeps into the crevices that made my fine lines all the more obvious. 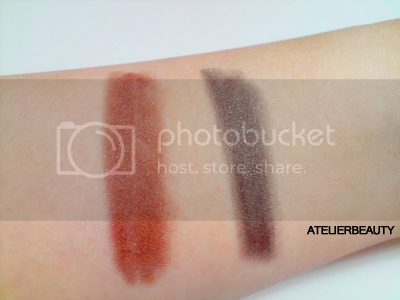 The coverage fall short with the darker shade aptly named Natural Beige. It comes in handy to even out my skin tone but doesn't do a good job on veiling my flaws. In the midst of reviewing, I had to go the extra mile of using another concealer to cover up exisiting scars and zits before blending with the darker color to even out the pigmentation. 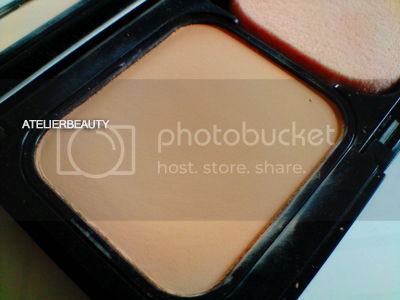 Overall, the lack of color choice is critical - both Light and Natural Beige proved to be a tad too light and does not blend well with some of my other foundations. This product will work well for those with minimal skin discoloration. This tube has been bruised and battered due to frequent usage. I apologized for the unsightly capture but I'm quickly 'hitting pan' so a review is timely to share why this product has been part of my recent(miserable) lifestyle. This was purchased couple of months ago. This gentle cleanser contains a combination of AHA(Alpha Hydroxy Acid) and BHA(Salicylic Acid) - AHA acts as an exfoliant with minute molecules to penetrate into the dermis layer. That being said, it works by dissolving dead skin cells, sloughs off dull and rough skin on the skin and increase cell turnover all at the same time. Another exfoliant present in the product is BHA better known as Salicylic Acid, is commonly used for treating acne. It also has a salubrious effect on pigment disturbances and sun-damaged skin. So what exactly is the difference between both exfoliants? According to Paula Begoun, AHA is ideal for sun-damaged and dry skin whereas BHA should be opted for those with acne-prone oily skin, and can easily penetrate through the oil-clogging pores therefore makes a good treatment for acne-causing blackheads and white bumps. The exfoliating range from Hada Labo contains another Foamy Wash which I have not tried yet, nonetheless a small dollop of product produces a decent foam with this Face Wash. Free of fragrances, alcohol and mineral oil, also absent is any form of scrubbing beads. 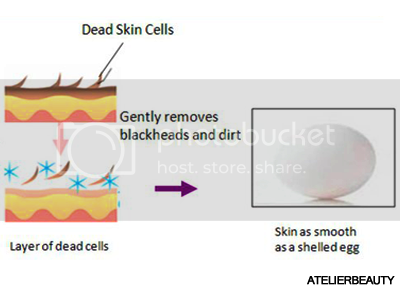 Despite that, my skin feels squeaky clean and smooth like a shelled egg(↑). When your skin isn't in its best condition, it gradually gets dull. Given my recent bad breakout, this cleanser comes in handy to exfoliate my skin without aggravating existing red bumps and I do see minimal clarity after each wash. Because both AHA and BHA can increase the sun sensitivity of the skin, hence I always make sure to compensate by using sunscreen with UVA and UVB protections. I suffer from insomnia in times of stress, depression and my biggest nightmare - writer's block. My form of relaxation is a good book and enjoyable music, but when I've ran out of resorts, I turn to aromatherapy. While I had previously gushed over the Satsuma scent, Lavender is another one of my favourite. 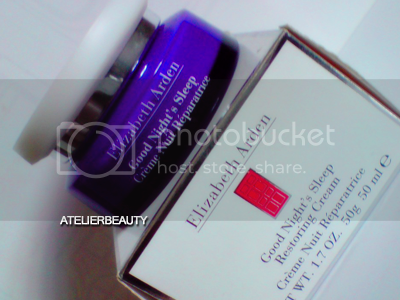 Aptly named, this luxurious night cream from Elizabeth Arden contains the aromatic lavender to enhance relaxation and calmness. Most of us tend to have mood swings from the irritability derived from not catching enough shut-eye, hence this light, flowery scent is ideal to help unwind your mind and body. Another prominent ingredient is Honeysuckle with its antibiotic properties. Often used for medical purposes, this herbal inclusion helps to treat skin irritation such as rashes and outbreaks. Other components in the concoction include Shea Butter, Evening Primrose Oil and Panax Ginseng Root Extract. The product comes in the form of a jar, so I used a spatula for hygiene's sake. Although I don't see fine lines and wrinkles diminished according to the product's description, but the pleasure of waking up to my skin feeling like a baby's bottom puts me on cloud nine every morning! The cream is incredibly rich, so a pea-sized amount is sufficient per application. Extra effort to massage in the formula is strongly advisable - not only does this facial exercise promotes blood circulation, it enables the beneficial ingredients to absorb into the skin properly. Fortunately, I did not experience any breakouts pertaining to the lavender embodiment. My skin feels significantly softer, firmer and more resilient with each usage. There are no signs of any softening in my fine lines and wrinkles, according to the product description. Many important body functions occur when we are sleeping such as tissue regeneration, regulations of insulin and blood sugar etc. By contrast, chronic sleep deprivation accelerates tissue degeneration and aging of the brain. So if you are an insomniac or crave for something aromatic to be integrated into your skincare regime, this product is worth a try. To a certain extent, it does help me slip into dream mode faster and minimizes my nightly battle of tossing and turning. 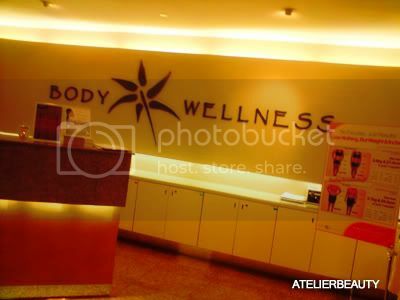 BODY WELLNESS has been one of the leading spas since 1997. 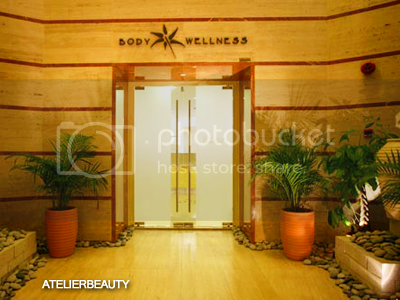 With its own in-house research and development team, this local establishment offers to consumers the most unique and innovative treaments that incorporates the latest technology and spa techniques. I was recently invited down to enjoy a complimentary session at Winsland House. Upon consultation, the Ginger Renewal Massage was rendered too "mature" for me, thus a Ginseng Thermal Treatment was recommended instead. Such therapeutic massages help to provide relief for chronic health issues such as headaches, back aches and menstruation discomfort. Due to the nature of my work, I am constantly by the computer which explains why my BFFs stress-pimples would visit me every so often. After voicing my concerns and filling in a consulation form to state down any existing medical conditions, I was given a warm Ginger tea to calm down my nerves in the morning, followed by a tour of the Winsland House establishment. 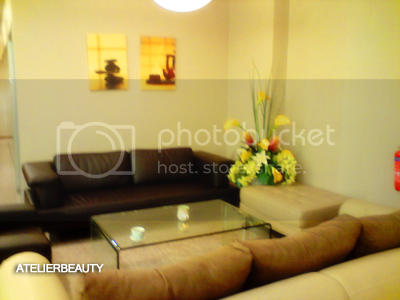 With the capacity of 30 rooms to cater the busy schedules of today's modern women, there leaves little worry about not being able to secure an appointment. Each private spa room are named after a favourite place visited by the owner; most are European cities whereas the massage techniques employed by the masseuses lean more to the Oriental side of Balinese and Javanese. 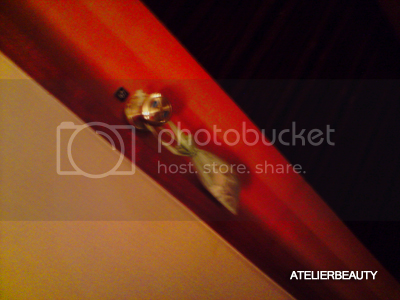 An occupied room is indicated by an aromatic bag hanging on the door knob. Upon entering the room, there is a single trolley that carries disinfectant, box of gloves and bottle pump. The Ginseng Thermal Treatment involves using a Ginseng cream imported from Korea, manufactured exclusively for Body Wellness. The product acts as a relaxant that soothes the skin but I felt it was too rich for my skin as the greasy feeling stuck with me throughout the day. One can be subjective when it comes to fragrances; whilst the Ginseng smell wasn't too empowering to begin with but it lingers on like an aura, even Milo refuses to greet me at the door. Therapeutic massages provide relief for chronic health issues such as headaches, back aches, menstruation discomfort etc. 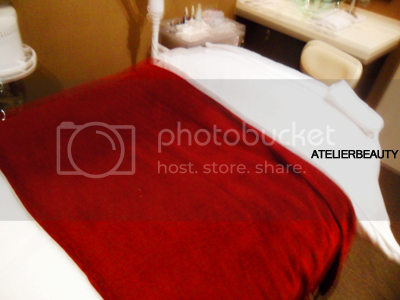 The massage therapist was communicative and had a great touch applying adequate pressure at approriate areas. My nature of work requires me to sit by the computer, hence my shoulders are relatively stiff. The therapist really worked through my kinks, making my experience pleasurable. A heat mat was then placed over my body to allow the Ginseng cream to be absorbed into my skin and keeps me warm at the same time. No thanks to Milo who has finally learnt to knock the door and had been disruptive the entire night, which explained my fatigueness that morning. I was about to doze off but was thwarted by the loud laughter from the staff along the corridor. Overall, my visit had been pleasant, and I did notice a slight glow on my face after the session. Afterall, this theraputic massage is meant to stimulate and improve the lymphatic system that removes toxins from the body. • NRIC must be presented upon redemption. It is apparent that the eyeshadow colors that I wear correlates with my mood - in times of stress or just plain restless, experimenting with colors are out of the question. So, neutrals are my safest bet and they match with any occasion too. 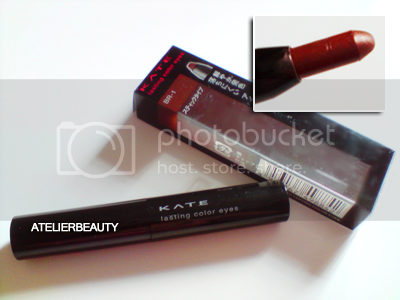 This brown shade stick has red undertones, and has a slim hand that makes it easy for steady control. The creamy texture is comparable with NXY Jumbo Pencils; it glides on effortless without a need to tug the lids. 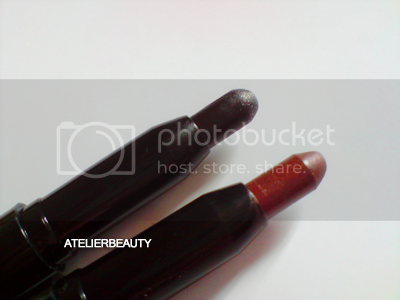 What I really like about this particular shade is that it is perfect for makeup novices or for those on the go. The color can be used on its own(provided you use a primer to prevent creasing), and the nimble formula is blendable and buildable. I had previously purchased BK-1 from the same range - black with subtle shimmer to it. 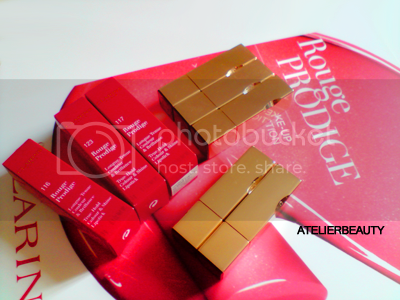 These work efficiently as a base, compared to many kohl pencils in the market, which has a generally drier formula. 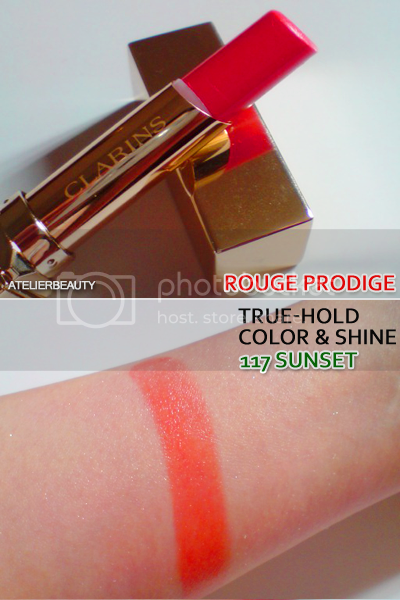 The Fall 2010 Rouge Prodige Collection comprises of 29 new shades. 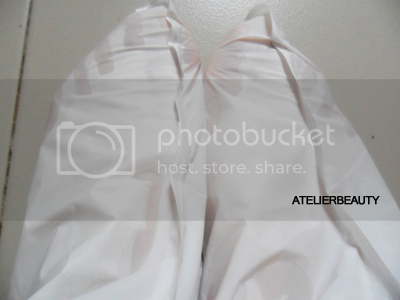 Referred to a "high performance formula," it is designed to be long-wearing, but moisturizing and comfortable to wear. 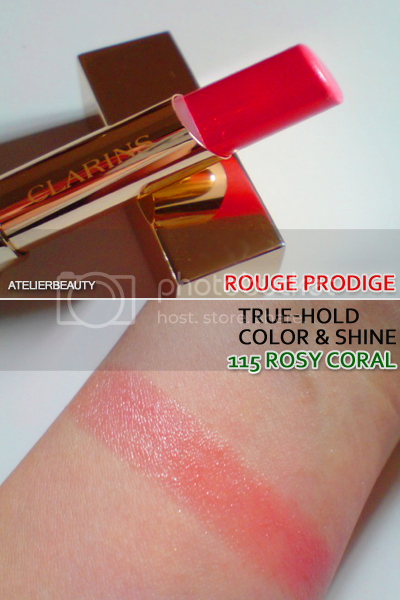 CLARINS uses a new patented-polymer, High Fidelity Pearl for intense color with ensured durability. In addition, the shades are whipped up wtih ceramides and waxes for comfort and prevents dehydration. 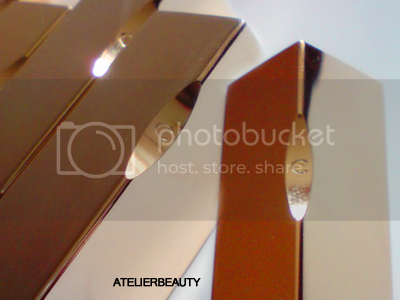 Each lipstick comes in a luxurious gold, mirror-like packaging with beveled edges. 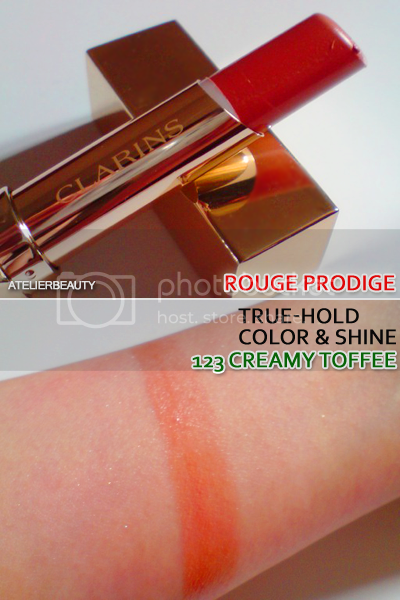 The slanted tube is embossed with the brand's logo, and the lid stamped with a stylized Clarins leaf, eliegantly marked with its inital "C."
When applied, the formula falls between sheer and medium coverage; creamy gloss with a satin finish. It's not drying on the lips, but doesn't give much hydration either. It glides on smoothly but proves to be a challenge on chapped lips, thus I strongly advise to exfoliate and apply lip balm prior - the product accentuates and seeps into the lines of my lips. For those concerned with color migration, the pigment-rich lipstick promises a true hold color which lasts up to 4 hours. I often find it a hassle to touch-up when I'm outdoors, prerferring to apply once and forget about it. 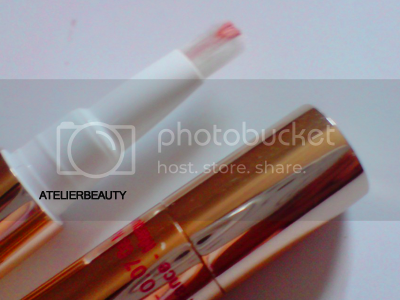 So this product is good news to thy lips! On the downside, it leaves a gentle stain that takes a mild effort to remove, so put on a thin layer of clear gloss before application. 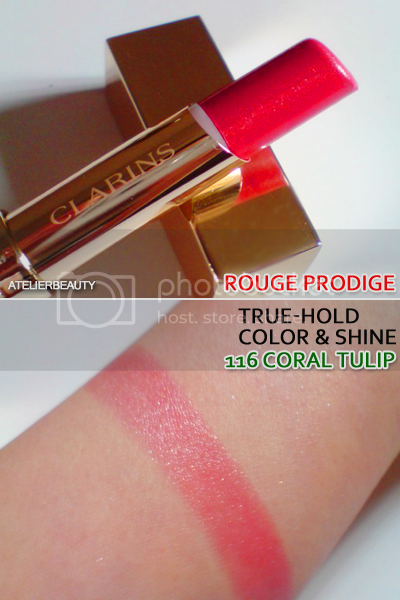 The Rouge Prodige True-Hold Colour & Shine lipsticks are now available at all Clarins counters, retailing for S$35 each. My friend was on an Asian Tour recently - he called me during one of his stopovers to ask if I needed anything since there was an attractive sale going on at some of the high-end department stores in Hong Kong. I was hoping to get either the Prevage Night Cream or the Serum(tried a sample and loved it!) but unfortunately both were sold out. There were only limited quantities of the Day Moisturizer left, so I gave him the green light. The local retail price is S$239 but after discount and currency conversion, I forked out around S$150. Excellent bargain, no? This daytime product contains the revolutionary Idebenone, which is a clinically proven antioxidant. With the the highest protective capability of all the other antioxidants in the market, this key ingredient addresses the effects of oxidation on the skin, which is a primary cause of visible signs of aging. PREVAGE Day also contains Thiotaine, another antioxidant that complements Idebenone in protecting the skin from free radical damage caused by environmental assaults. Despite all that and overlooking frequent hormonal breakouts, multiple analysis still show my skin is in tip-top condition. I'm still surprised every time the consultant shows me the result. It goes to show that even though you might not see evidential changes on the surface, but results are apparent over the long term in the dermal layer. Suffice to say, it is essential to find products suitable for your skin type and meet any necessary skincare concern such as whitening, anti-aging etc. The potent Idebenone is a fine orange powder, which explains the unique color in the products from this anti-aging range. Fortunately the cream does not add any coloration on the skin however without a proper massage, residue can be seen on the tissue after blotting. PREVAGE Day has a heavier consistency compared with other daytime moisturizers that I own, and has a broad spectrum of SPF 30 protection. In my initial usages I had difficulty getting the product to sink into my skin, and ended up looking like a grease ball. Take heed if you fall under the combination/oily skin type category - the texture isn't greasy to begin with, but it needs a lot of work to be absorbed. Especially living under Singapore's humid climate, you really need to get in there and massage, Massage, MASSAGE! Out of many I have tried, the SHISEIDO Facial Massage works best because not only does this method promotes blood circulation, it also allows the skin to better drink in the beneficial ingredients. Given the nature of this massage, just dab a little on the T-Zone and emphasize on your cheeks. Previously, I had to blot almost immediately to remove any excess prior to trying this massage method. Ever since I implemented this facial workout into my routine, blotting comes into action around the two-hour mark. Although PREVAGE Day is marketed as an anti-aging product, it must not be mistaken as a filler. There is no hocus pocus to make fine lines and wrinkles disappear but I do notice my laugh lines visibly reduced albeit rather slowly. Pixel by pixel. My skin is firmer, more supple and better hydrated; my skin tone is more even now, especially along my jaw line. This is the only product that has managed to even out my skin tone thoroughly. Whitening products only give a temporal brightening effect so I rather invest in something that gives me results in the long run. I really love the scent of the Sea Lily extract. Refreshing and Feminine. This plant extract acts like a lock to control melanin production. I have been using it for almost a month together with the Day Moisturizer; the whitening properties aren't visible but clearly shows its effectiveness through a skin analysis. This serum works well with the Day Emulsion; it penetrates into my skin quickly without leaving any residue. However when paired up with PREVAGE Day, the incompatibility starts to show as the moisturizer flakes while performing the SHISEIDO Facial Massage. Any theories? Another product that addresses the signs of aging. Beside the perfect pairing of their lush packaging, their formulations go well together that my initial concerns were shot down almost immediately. After experiencing flaking issues with the White Plus Serum, I had expected the same reactions but to my surprise, there was no shedding at all. This Corrective Serum has a wax-like gel texture that mattifies the skin upon application, allowing the rich consistency of PREVAGE Day to be spread more uniformly. It curb the richness of PREVAGE Day really well, and drastically limits the number of times to blot my face. It's quite a lengthy read, isn't it? I hope you had fun and thanks for reading!! The product contains Caviar which feeds the skin with proteins and vitamins, prompting dormant skin cells to regenerate that aids in reversing the skin aging process. The inclusion of Jojoba Oil helps to reduce epidermal moisture loss that keeps the skin supple, useful in preventing or treating any existing wrinkles. Another essential ingredient is Adenosine with its beneficial in cellular stimulation - it boosts the skin's natural production of collagen, heals and reduces the damage of wrinkling, dryness, sallowness and pigmentation. 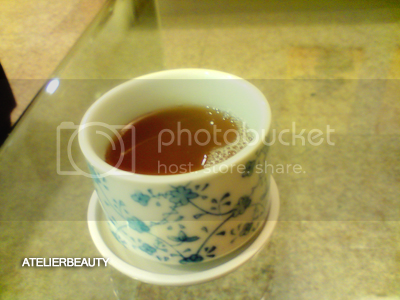 Additionally, the blend of White Tea, Green Tea and Black Tea keeps the skin around the eye area bright and glossy. The handy packaging comes with an applicator top that dispenses the product conveniently and can be applied on the delicate eye area hygienically. I have been using the eye cream consistently since receiving the product last June, but it failed to "work miracles" albeit equipped with rich, beneficial ingredients. The texture is a tad sticky; whilst smell can be subjective, the prominent scent of the tea ingredients is pleasant and lingers on even after the product is absorbed into the skin. The eye cream sinks into the skin quickly, leaving no time to massage in the product properly. With that being said, it leaves the skin around the eye area firm but at the same time, the dryness bothers me and massaging is a problem. Despite with a gentle approach, it still requires me to tug at my skin to properly circulate my undereyes. Overtime, more wrinkles will form. For a product that's formulated to improve the skin elasticity, I'm disappointed. To add to my woes, the dry formula flakes when I apply on another eye product to compensate for the dehydration. I also use it on my nasolabial folds, but also with no significant difference nor improvement. Despite the disappointment, it hydrates my lips surprisingly well. Especially on days when the weather is stuffy and dry, leaving my lips chappy and cracked. However, given that the bitter taste of the eye cream and a tendency to lick my lips, I highly recommend applying lip balm over it. Also, it seems to promote blood circulation - I experience slight tingling with my first use and notice a healthy color on my pouts after application similar to applying blush. It sounds weird but you have to try it to get what I mean. My other eye products do not produce the same result. If you must know, the tingling sensation is absent with subsequent usage. This is a follow-up on the Tony Moly products purchased a month ago. It is advisable to use the facial masks on a regular basis to see results, and I am only providing my 10cents upon usage of each product, with the exception of the TomaTox Mask. 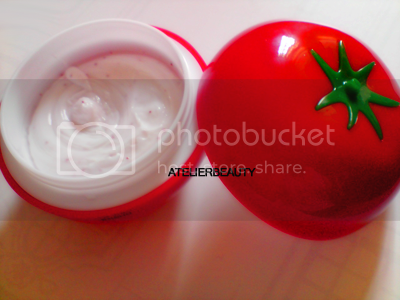 I had my heart set on the TomaTox Brightening Mask after a mini demonstration at the recent Media Preview. The creamy texture does not dry entirely, and sticks onto the skin so it takes a decent effort to wash off the filmsy feeling. As much as I had fun dissolving the red granules into my skin, they are not scrubbing mechanisms and do not slough off dead skin. I prefer to use this before makeup application as a glow booster albeit a temporary one and thus, I see no need to pile on foundation/concealer to even out my skintone. Leaving the mask on for an extended duration is superfluous because not only will you miss the initial brightening effect, the product might dry out the skin. This will not be on my re-purchase list; if you desire a products that gives a lasting effect, invest in a whitening/brightening with a more concentrated formula. These Tony Moly masks are saturated in essence and remained so after the 15-20min mark on my face. 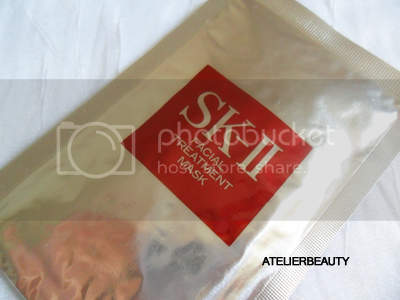 My skin felt revitalized, comfortable and firm after removing the mask. The essence is light but not sticky; and absorbs into my skin after massaging the residue in. 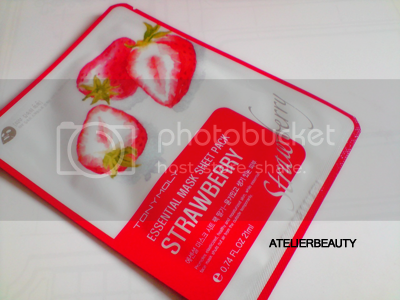 While the Vitamin and Tea Tree masks have fainting scents of Citrus and Tea Tree respectively, the strawberry pack smells heavily like the fruit itself. I kept resisting the impulse to lick my face during the whole duration. The juicy fragrance lingers only until I pat in the essence. 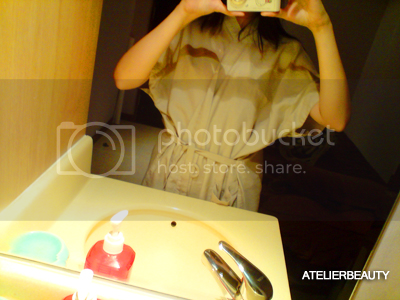 The material of the cloths are of decent quality and doesn't tear easily; they contour my face properly and doesn't slip. As mentioned, I've only used these facial masks only once to give my initial thoughts. 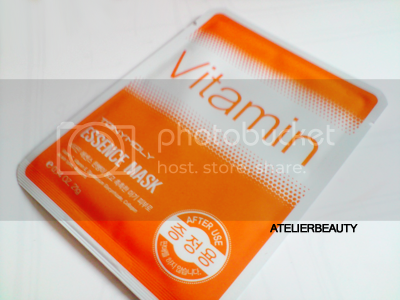 The Vitamin mask contains Dipotassium Glycyrrhizate, which is actually Licorice Root Extract in simple terms. This ingredient is often used to treat hyperpigmentation, and is a natural compound that acts as a brightener. There wasn't any difference in my skin tone, and given that the Licrorice Extract has anti-inflammatory properties, it did nothing to reduce the redness nor swelling of existing blemishes. 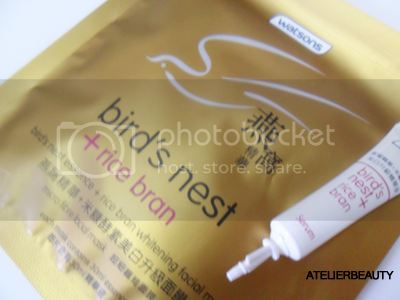 I will re-purchase these masks again, and try out the other ones from the Korean brand. Apart from the claimed beneficial effects that I have yet to experience from the said products, I love the hydrating factor and the non-sticky consistancy. I rarely use powder foundations because they often turn out cakey and causes my laugh lines to be even more visible *cringes* And because I like the feather-like texture of this product, I've tried many ways to 'make it work.' Wet sponges give me a headache and attracts more bacteria during application so after some trials and errors, this is the best method that works for me. Instead of dampening the entire sponge, I like to spritz on some Thermal water with each application. Start out from the T-Zone and work your way out, moistening your tool as you go along. I don't know how many does this or maybe I am just plain cuckoo, this method gives me control of how much foundation I used. The result is a more even and natural skin tone; while the coverage is "light as a feather," like a light veil over the skin. It covers up redness decently, but you need a good concealer to conceal inflamed/blackened scars. 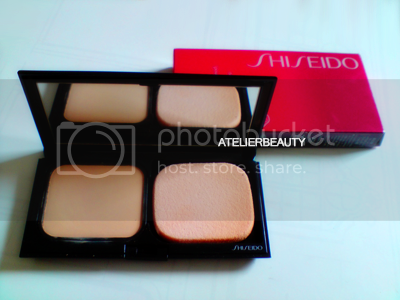 This method has also been tested on ZA Cosmetics 2-Way Foundation but having used the Shiseido compact, I won't be returning to the once beloved product which everyone I know here seemed to have owned at some point. Myself had hit pan with 2 when I'd first dabbling with makeup. The main reason is that ZA's has a drier formula and tends to leave stains on my tops whereas Shiseido's is softer and easier to blend, and the oil-control is superb for my easily oiled-up skin type. A matte-finish face never goes out of style, my friends. 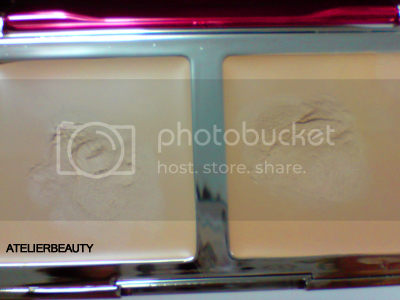 I am about to try this technique with Clarins Hydra-Luminous Flawless Powder Foundation, so stay tuned for my report. I love such facial masks as they provide intensive nourishment conveniently - I usually use one every 2-3 days and then continue with my writing until the designated 15-20mins are up. They also act as instant perks-me-up, I like to slap it on prior makeup when my skin craves for that much needed hyrdation and glow before going out for important dates and events. The upgraded HealthyWhite Complex helps to brighten up skin tone; the whitening essence lightens the melanin beneath the skin layersto give lasting translucent. This whitening mask has a new forumla that features a new 3D Push-Infabric that fits (nearly)perfectly against my facial contours. Thecloth is slightly thicker compared with the others I have tried, andthe stretchable design means that more essence can be pushed deeplybeneath the skin layers. 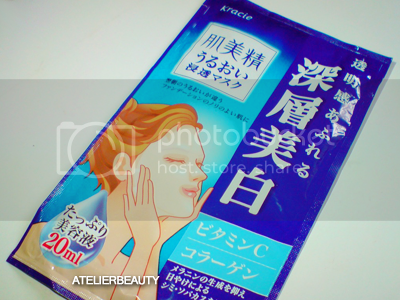 I am also a fan of the brand's Deep Hydrating Mask, but prefers this one more because of the said fabric material. Additionally, the hydrating factor is top-notch: the essence is absorbed quickly and mattifies my skin. Cool, huh? 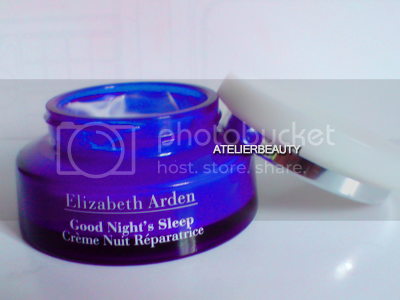 It softens my skin which allows the nutrients from my night cream for better absorption. With gradual use, I do notice my skin tone is slightly even, and there is a nice healthy -but not to be mistaken oil-shine- glow. 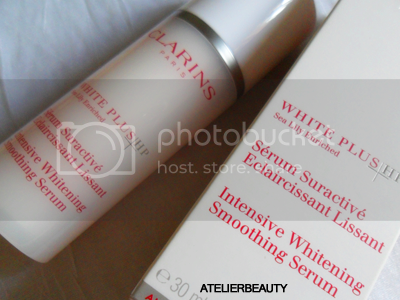 As for the whitening part, you might want to use it for a prolong duration to achieve that desired effect.